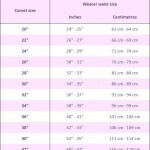 This entry was posted in Blog and tagged Measuring your waist, The Right Corset Size, How To Choose The Right Corset Size on February 28, 2015 by admin. This entry was posted in Blog, Corset How To Guide, Waist Training and tagged corseting after childbirth, pregnancy and corsets on January 18, 2015 by admin. 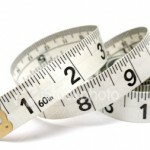 This entry was posted in Blog and tagged waist training on January 10, 2015 by admin. Its true that a neat little knot tends to be less bulky than tying your laces into a bow, however: knots are not easy to untie! Even with assistance, a knot can be very difficult to take apart, so imagine the anxiety that could result in trying to untie it on your own! You always want to make sure that you can easily remove your corset at any time, so stick to tying it into a bow. Another "quick trick" some people have tried is to cut their laces once they've got their corset on and the cord tied. Please please please avoid this at all costs! Think about it: before putting your corset on, you loosen the laces, sometimes to their fullest capacity. So, although once tightened and tied the cord may seem excessive, its required in order to be able to comfortably put on and take off your corset. If you were to cut it, you would be left with less cord and as a result, you would not be able to loosen the corset comfortably in order to get it on or off. Again, some feel that this method reduces how much "hang" there is to the cord once tightened and tied, but think about the friction that this wrapped cord will place around your corset's beautiful fabric! We go about our regular days in a corset: we sit, we stand, we walk around, we drive our car, etc. Brief: we move! As we move, if the corset's laces are wrapped round the waist, they will rub against the corset and eventually cause the fabric to fray, ultimately reducing the life of you corset. And there you have it: 3 things to avoid when tying your laces. This entry was posted in Blog, Waist Training on January 3, 2015 by admin. This entry was posted in Blog, Waist Training on December 27, 2014 by admin.